The Village of Bedford Park is business friendly. Located just south of Chicago’s Midway Airport, Bedford Park’s all enterprise zone along Cicero Avenue is an ideal business location. Ninety percent of its land area is devoted to industry and it is home to 380 companies. Bedford Park’s all enterprise zone has access to I-55 and I-294 as well as three other interstate highways, and its railroad terminal is the largest in the country. If your business requires lots of water for beverage production, fabricating processing or cooling, the Village of Bedford Park’s water facility can fulfill any need. There are multiple TIF districts and additional tax incentives for qualified businesses. In addition, the work force potential is limitless. 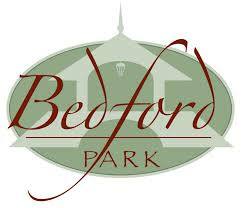 Family friendly Bedford Park is convenient to Toyota Park, home to the Chicago Fire soccer team and concerts, the Brookfield Zoo and Chicago Ridge Mall with its movie theaters, restaurants and shopping. The Chicago downtown district is only 25 miles away. The Bedford Park Clearing Industrial Association invites you to consider starting or relocating your business in this family friendly area. For more information, email an inquiry to villageofbedfordpark.com. When visiting the Bedford Park enterprise zone, stay at nearby Best Western Inn Suites Midway. The hotel offers affordable guest rooms, free breakfast, an indoor swimming pool and hot tub and a fitness center. Pets are welcome and special AAA rates are available. Call the property direct at 708-497-3000.